This is a variation of a classic Spinach and Pepper Frittata, with an added hit of chilli. 4 eggs, a small bag of spinach, 1 pepper, 1/3 chilli pepper, 5 cloves garlic, a dash of black pepper and salt. Chop the pepper into small pieces , then fry with garlic and chilli. Cook the spinach, squeeze out the moisture, chop; then add to the pepper mix. Beat 4 eggs, then add in the pepper/spinach mix. Cook on medium heat until underside is done. Then brown off the top under a grill. Leave the frittata standing – its best eaten a room temperature. 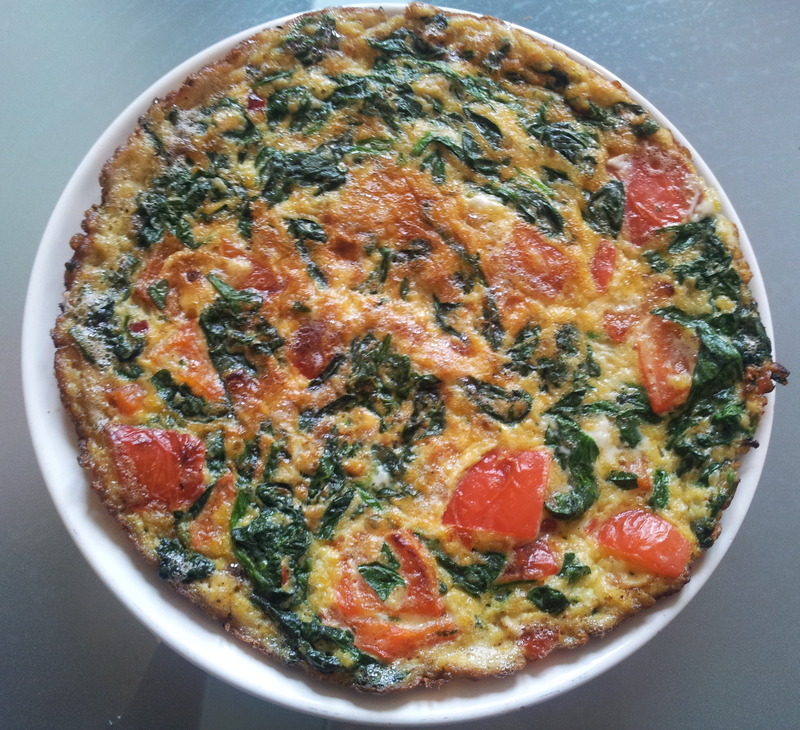 This entry was posted on Saturday, February 8th, 2014 at 2:25 pm	and tagged with Dan McGill, Frittata, Recipe and posted in Dan McGill, Dan McGill Author, Recipe, Uncategorized. You can follow any responses to this entry through the RSS 2.0 feed.